Baylor's Carter Smith (11) makes a low header in TSSAA Spring Fling action in Murfreesboro, Tenn. on May 24, 2018. The chief photographer at the Chattanooga Times Free Press was honored with an award for sports photography in a competition among Southeastern newspapers. 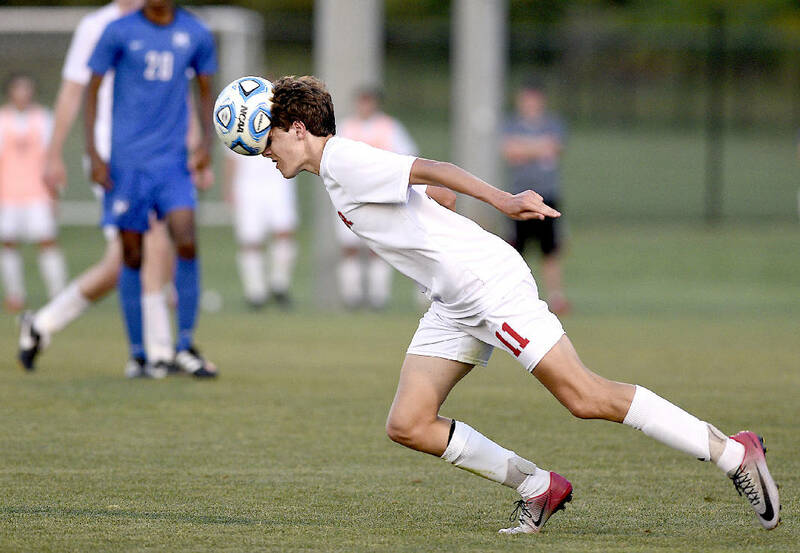 Robin Rudd received the Southern Newspaper Publishers Association award for sports photography for a photo he took of a Baylor School soccer player. Three other Times Free Press photographers received honorable mentions for their work in SNPA's annual Photo/Video Contest: C.B. Schmelter in the sports photography category; Doug Strickland for spot news photography; and Erin O. Smith for features photography.